CBD Oil Review rates Shanti Wellness with two stars because it qualifies for the Quality & Mission Badges. 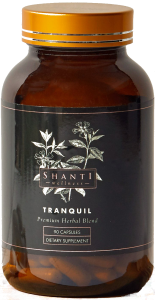 Shanti, the Sanskrit word for peace and tranquility, is the guiding inspiration behind Shanti Wellness, a chic blender of full spectrum CBD with some of nature’s most famous adaptogens. Shanti looks the part with beautiful branding and a positive message; they can definitely talk the talk. However, in order to issue them more badges, we need to see them walking the walk by backing up their products with 100% quality ingredients and displaying independent lab results. Shanti Wellness markets themselves as an apothecary, though they never explicitly say that, by using adaptogenic ingredients like curcumin (turmeric) and ashwagandha in their blends and exuding that feel. The founders supposedly experienced chronic anxiety and stress courtesy of the weight of modern life and sought natural answers in Ayurvedic herbs. Through their research they encountered CBD, experienced the benefits themselves, and decided to include it in their artisanal blends. 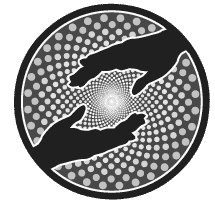 The team has over 20 years of experience between them in the holistic field, and the brand portrays a decidedly holistic essence. But we take issue with the absence of test results. While Shanti Wellness claims that each batch is tested by an independent laboratory, these results are not available online nor even offered upon request. We are also unsure of their extraction method. The Shanti Wellness full spectrum product line is beautiful, aesthetically speaking, with simple, sleek packaging, and they do not exclusively sell CBD products. For our purposes, we will only discuss the products containing full spectrum CBD extract. First up are the Balance Premium Hemp CBD tinctures with full spectrum CBD oil, hempseed oil, grapeseed oil, peppermint, and stevia. The Soothe Hemp CBD Body Balm features a delicious blend of skin-loving ingredients like eucalyptus oil. The last CBD product category is the softgels that come in two varieties: one with curcumin and one without. The softgels contain water-soluble nanoparticles for better absorption, but they also contain polysorbate-20 and polysorbate-80. These are emulsifying agents that improve consistency, and although they’re relatively low risk, these chemicals are prone to contamination, specifically with a compound called ethylene oxide, an extremely high-risk additive to be avoided at all costs. We simply don’t understand the inclusion of these questionable ingredients. We see softgels offered by most CBD businesses, but the majority do not include these substances. Unnecessary to say the least. There’s no evidence of Shanti Wellness being actively involved in the charity space, and we don’t observe them doing anything innovative. 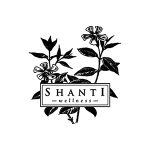 Thus, the company as it stands today receives two of five badges until more action is taken. Bottom Line – Shanti Wellness is a beautiful-looking brand, but needs a bit of work to back up their pure aesthetic with purity in their products. A good starting place would involve making batch test results available and reexamining their inclusion of emulsifying agents in their softgels. Shanti Wellness sources organically grown hemp from Colorado for their full spectrum products and quality herbal blends from California. Shanti Wellness aims to elevate the daily routine of their customers by providing natural, plant-based remedies for mind, body, and spirit. Hello,Thanks for posting your feedback about our products. However, I will like to request that next time you post an article you list the truth and honest facts.The issue I have with your post above is that we actually do offer testing for all of our products and they are available upon request. All of vendors have a copy of the product testing and we could have offered it to you as well, only had you asked us prior to posting this.2nd- we do partake in charity and community service. Our Ceo was part of Lunch On Me - where she and the Lunch On Me organization fed the homeless people on Skid Row. We also partnered with Lions Club and passed out blankets to people in need during Christmas. Just because we don’t advertise doesn’t mean charity and community service is not part of our Ethos.3rd- Joy Organics, a company you reviewed buys from the same vendor as we do. We have the same exact soft gel as them but you did not mention anything about theirs and decided to you critized our inclusion of the insulfiers.We try to be as transparent as we can and never ever hide information from our customers.This is obviously a way for you guys to get paid to improve the bad rveveis that you leave on purpose (similar to what yelp does).I don’t mind that you leave reviews but if you do please leave honest ones. False reviews like these hurt our business. We have worked very hard on getting this business started and don’t need people trying to falsely tear it down.If you have any concerns or need more info please call or email me. I will be happy to answer any questions you may have. Thank you so much for your comment. Our brand reviews are solely based on the information found on your website, therefore if it is not published then we equate that to being none existent, unfortunately. This sounds like it would be a simple fix for you though! If you do have your CoA's upon request, all we ask is that you publish these updated test results to each sku. Also with the charity, seems like it would be a simple fix! Add a section on your website informing customers of your 'giveback' or 'community donations. 'Our methodology can be found on our website to better define what we look for in writing our brand reviews.https://cbdoilreview.org/our-methodology/Your brand review is simply calling out areas in which your website does not meet our criteria, I apologize if you do not accept this perspective. We grade brands as if we are a top notch educated customer looking for the best product on the market and this requires us to be super critical with a tactful approach. This industry continues to be saturated with unethical brands just looking to make a quick buck, we do not believe your brand to falls within that though. We believe that you offer great products, we would just like to see CoA's readily available and attached to each sku AND tell us about who you support in your community or organizations you donate to.Also, we do not take payment from brands for 'better reviews,' nor do we accept payments for advertising at this time. We've become a 'Watch Dog' in the CBD industry with high ethics and like to create honest brand reviews so customers can get a better idea of what to look for.We would be happy to circle back to update the review once you've made the necessary changes to your website. :) Please contact us once you have made these small adjustments and we will happily grant you Safety and Charity, thus making you a 4 star brand!